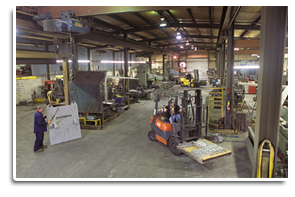 Bring your fabrication projects to Brisco Inc.
Our Facilities can handle pieces up to 60 tons. Brisco Inc. has the ability to perform precision fabrication with a wide variety of materials and specifications. Fabrication can also be done with sheet metals of all kinds. Brisco has the equipment to handle extremely large fabrication projects. Brisco's facilities are equipped to handle up to 60 ton pieces.